Melissa has faced many challenges in her life including a chaotic childhood that involved sexual abuse, foster care, drug use and teen pregnancy. Her story of finding Jesus through a teen mom support group is inspiring. Since that time, Melissa has been on a mission to help other women see and know their value through Jesus’ eyes. Melissa keeps her eyes on Jesus and has a passion for sharing her comfort with others as modeled in II Corinthians 1. Her life since being saved in 1998 has been riddled with challenges, including a diagnosis of systemic lupus in 2009, that she and God have worked through together. Most importantly, Melissa has a passion for helping women discover and live the life they were designed for. It has become a mission for her to provide women with a forum to own their story and use their experiences, gifts and testimonies for God’s glory. When Melissa comes to speak at an event she shares her heart for God, the aspects of her story that are appropriate for the audience in front of her and the hope that God wants all women to live a life worthy of His calling (Ephesians 4:1). Prior to a health emergency in 2016, Melissa served in her local church on the worship team and the Pastoral Leadership Team. She has also lead and taught classes and seminars at her local church, as well as MOPS groups and online venues, including A Woman Inspired and Christian Women Affiliate. 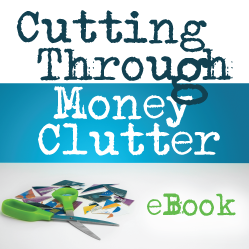 Melissa has been a contributing writer for many websites and maintains her personal blog. Melissa has a background as a professional organizer, a career that allowed her to combine her human services background with her desire to help people create order from chaos in their life and is currently a social worker. Melissa and her husband, Mike live in Kearneysville, WV, about 90 miles from Washington, DC. They have three sons (Jason, Jared and Matthew) and four daughters (Shayla, Rose, Gabby and Daleah), several of whom joined the family through adoption. 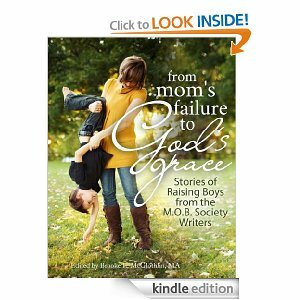 When Melissa is not writing, speaking and working in ministry she loves to be on the bleachers at her sons sporting events, catching up on the DVR with her daughters or riding on the back of her husband’s motorcycle. To find out more about Melissa speaking at your upcoming event simply email her at kmelissasmallwood@gmail.com. You will receive a booking form via email and any questions, topic ideas, etc. can be discussed at that time. Purchase from Amazon or Barnes & Noble. Or email kmelissasmallwood@gmail.com to order your .pdf copy!